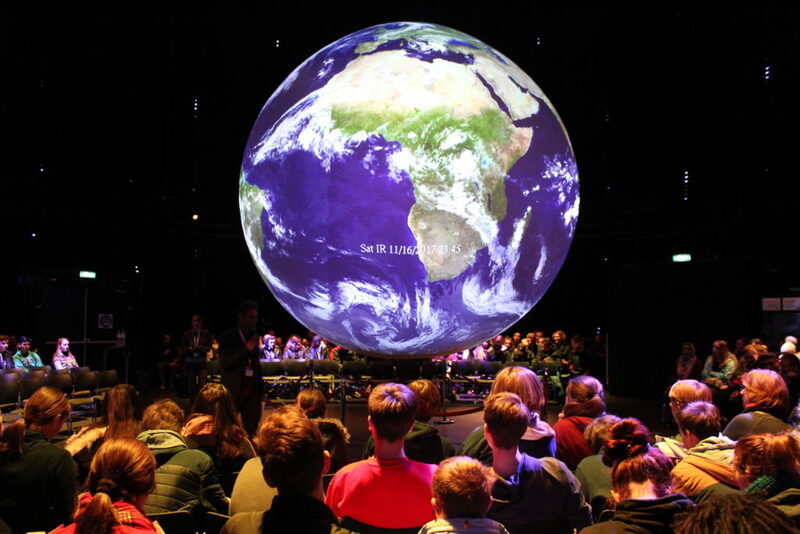 The students were on a field trip to “Climate Planet,” a traveling exhibition inside a giant, walk-in replica of Earth, which had taken residence next to this year’s U.N. climate summit. They had just watched an educational film outlining the perils of global warming, and a moderator was now leading a discussion of what should be done to address them. For instance, one lesson plan developed by Eilks for high school students is designed to accompany lessons and experiments on the chemistry of organic compounds. In it, the class is asked to form a committee weighing a fictitious mandate requiring the use of bio-ethanol fuel — controversial because it can spike the price of corn in developing nations. Students play the roles of expert stakeholders, representing industry, agriculture, technology, and environmentalism, and prepare for a hearing in which they defend their position. Ultimately the committee has to make a “binding decision” about whether to approve the mandate.